When I showed friends the new Fender Newport portable Bluetooth speaker, some of them actually thought it was a mini guitar amp. It's got that classic Fender look — textured grille, black leatherette covering, “witch hat” control knobs, and silver Fender logo. This powerful little speaker serves up lively sound to go. And it's compact enough to carry in one hand. No roadie necessary. 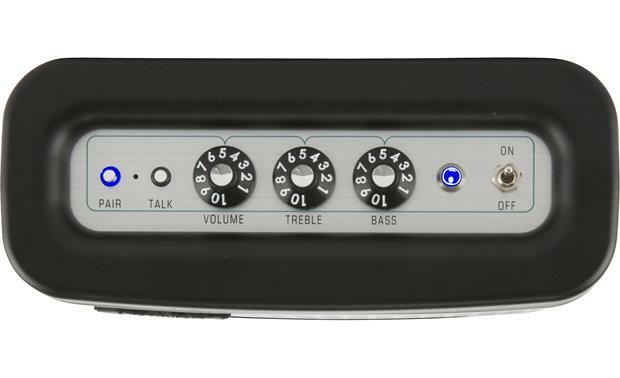 Top-mounted control knobs have the feel of classic Fender amp controls. The Newport features aptX audio coding, an advanced form of Bluetooth that allows higher-fidelity sound with compatible Android™ phones and other portable audio devices. 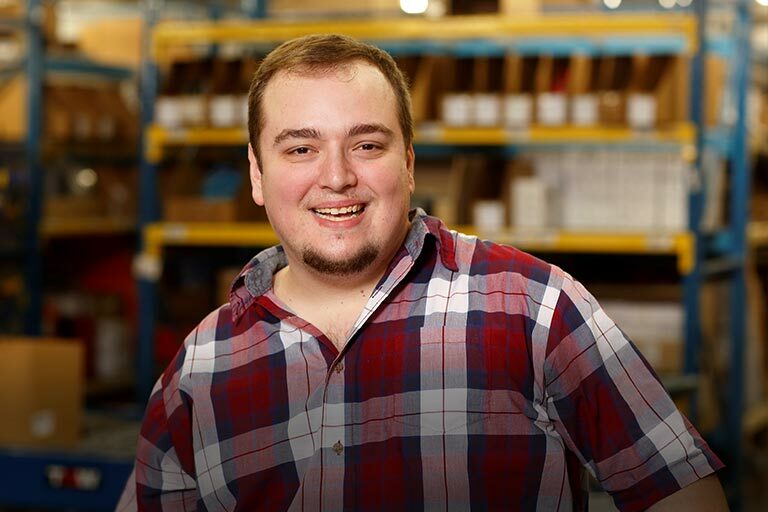 But you can stream from any Bluetooth-enabled device to the speaker — it's backward compatible with less-advanced versions of Bluetooth. Two tweeters and a woofer give you full, clean sound. It might not fill a stadium with your music, but with 30 watts of power, it will cover your desktop and then some. You can also use the Newport as a speakerphone with your paired smartphone. The built-in microphone uses noise cancellation to ensure you're heard clearly by your caller. The Newport's built-in rechargeable battery provides up to 12 hours of continuous operation. And there's a USB recharging port to keep your smartphone or tablet playing. 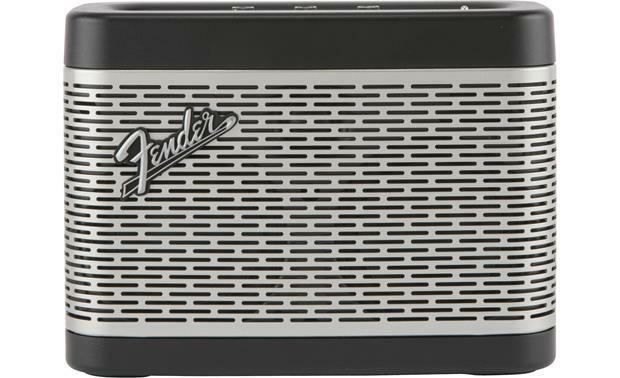 Fender Design: The Fender Newport Bluetooth portable speaker has a look inspired by Fender's 1968 Custom amplifiers. Every detail, from the witch-hat knobs to the amp jewel and control labels came from these classic designs. 30W Tri-Driver Design: Newport's 30W tri-driver design utilizes one woofer and two tweeters that have been carefully selected and precisely tuned for pure, natural Fender sound. Built-In Bluetooth 4.2: The Fender Newport is equipped with built-in Bluetooth 4.2 with support for wireless audio streaming (A2DP) and hands-free communication (HFP). You can wirelessly pair multiple Bluetooth devices (such as your smartphone, tablet, laptop, etc), but only one can be used at a time. Once the Newport has been paired, it will automatically reconnect with the last paired device within wireless range. The Newport has a wireless range of approximately 33'. Wireless Audio Streaming: You'll be able to wirelessly stream stored music libraries, music apps, podcasts, audiobooks, and other audio content on your Bluetooth source device to the Newport speaker. AAC and aptX codec support lets you enjoy clear, high-quality Bluetooth wireless sound form your Apple iOS or Android Bluetooth enabled device. Playback & search functions, as well as song/artist/album display will still be done from your Bluetooth source device (not the Newport). 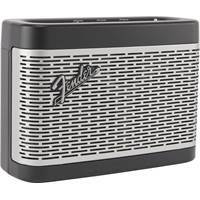 Hands-Free Speakerphone: The Fender Newport can be used as a speakerphone for your Bluetooth enabled smartphone. The onboard microphone with echo cancelling technology ensures your voice is clear during phone calls. Simply press the "TALK" button on top of the Newport speaker to Answer and End phone calls. You'll still need to use your Bluetooth enabled smartphone to make calls. Once you've entered a phone number, the call will automatically switch over to the Newport. Note: Your music will be paused when a phone call comes in and resume when the phone call ends. Tone Controls: Traditional Bass & Treble control knobs let you adjust the sound of the speaker to your room, or the specific music you're listening to, so you'll always hear your music at its best. Aux Input: The rear-panel auxiliary input jack lets you connect any audio device with a 3.5mm (1/8") output for playback. 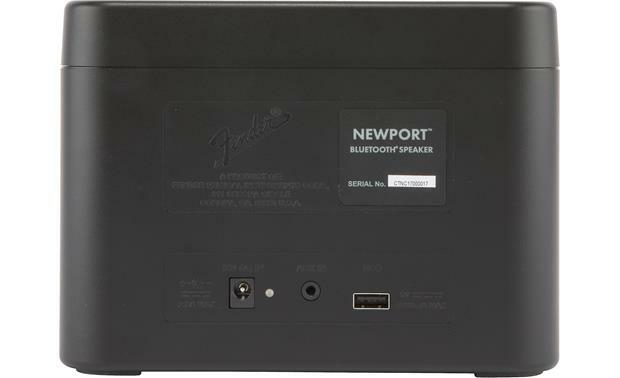 The Newport will automatically switch over to the Aux input when an external device is connected. USB-A Charging Port: A rear-panel USB-A (5V/1A) port lets you charge your smartphone's battery. 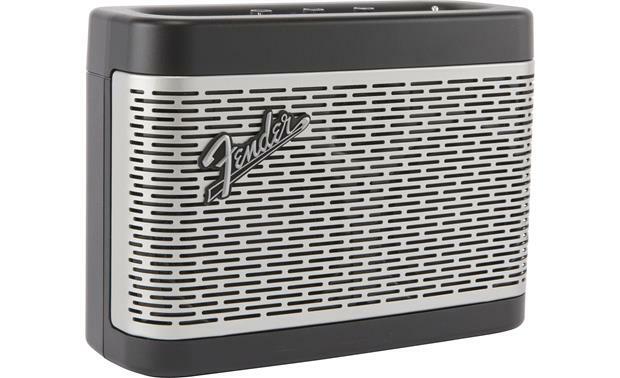 AC or Battery Powered: The Fender Newport Bluetooth speaker features a built-in Lithium-ion rechargeable battery that can last up to 12 hours (varies by volume level and audio content). The included AC power adapter (100-240V; 2.8A/16V) supplies power to the speaker, as well as charges the built-in battery. Review of the Fender conflicts with one stating it has 2 woofers &1 tweeter and the other saying 2 tweeters & 1 woofer. Which is correct? And is the woofer a passive radiator? How does the Fender compare to the Marshall or the Bose Mini? Fender's Newport speaker incorporates their "Tri-Driver" design which utilizes one woofer and two tweeters that have been carefully selected and precisely tuned for pure, natural Fender sound. For more details or to discuss further, please contact an Advisor directly by phone (888.955.6000) or online chat. Thanks!